Do you live in Montclair, CA and need a California Apostille or authentication? We can help! 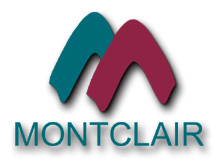 We provide fast and professional apostille services for Montclair and all surrounding cities. Do you have questions or need help regarding the apostille process? We can help, our professional team is ready to help you through the process of getting an apostille for your documents or an authentication. Give us a call today or visit our office in Montclair. Step 1: Call us or visit us to go over the type of documents you need the apostille or authentication. Step 2: Bring in your documents or mail them to our office. Step 4: You pick up your apostille or we can mail it to you. We make it that easy to get an apostille in Montclair. Our team of experienced notaries will make the apostille process smooth and quick for all residents of Montclair. Getting an apostille or authentication can sometimes seem confusing and overwhelming. Let us take care of the apostille process and we will have your documents ready in no time. If you do need any of these services before the apostille, we will let you know and can also perform the service in most cases.